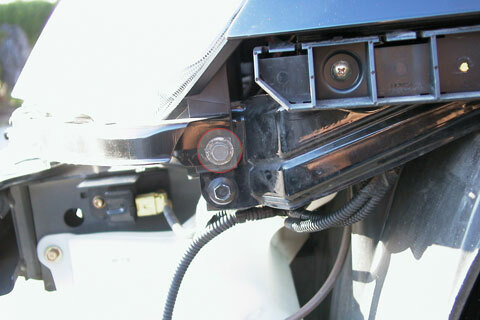 First you’ll need to remove these two bolts at the top that hold the lights to the body. Next you’ll want to undo this bolt on the underside of the headlights. 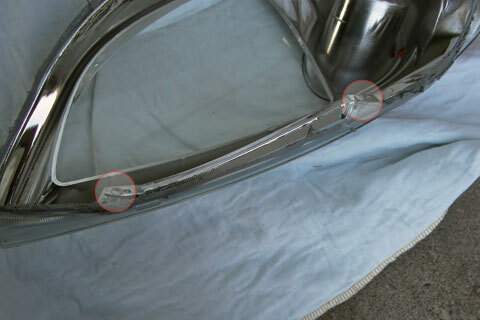 Next you’ll want to remove this bolt on the side of the headlights. 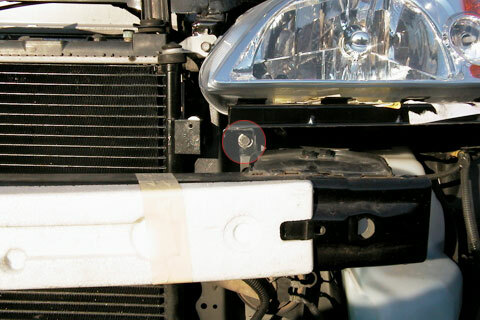 There are only these 4 bolts holding it to the body so make sure you support the headlight as you remove this last bolt. 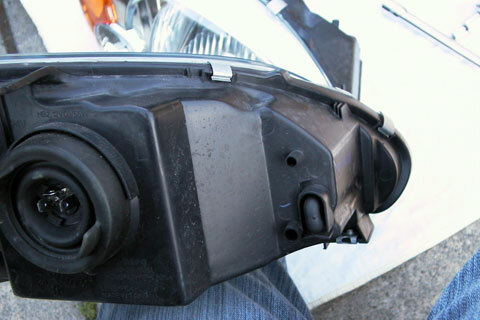 Before you can remove the headlight assembly you’ll need to disconnect all the wiring to the lights. Next undo this bolt that holds the mount rail to the headlight assembly. This is the rail you are removing. Next you’ll want to remove all these metal clips surrounding the housing that holds the clear portion of the light to the back. 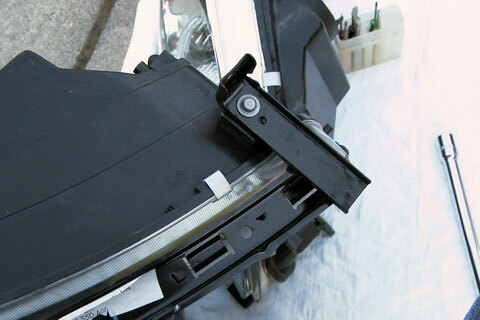 You’ll probably need a flat head screwdriver or another prying device to detach them. Also remove the rubber grommet and headlight bulb if you haven’t already, along with any other bulbs you may have left in the housing but simply unplugged. This is the most time consuming step. You’ll want to evenly heat around the edge of the assembly to loosen up the glue that holds the front to the back. I find that having a heat gun is extremely helpful and easier to handle as you can simply heat a section at a time as you work around the light. There are numerous methods out there to do this step. If you don’t have a heat gun, I read that you can use an oven (if you’re not afraid of heating plastics in a space you use for food). The Oven Method: Pre-heat oven to 250 degrees, place entire assembly on a baking sheet, leave it in the oven for 2 – 3 minutes. Make sure you keep an eye on it. Once it’s warm you should have no problem pulling it apart. I find that it gets pretty warm to the touch, so with the heatgun you can just heat a section at a time as you pull/pry it apart. 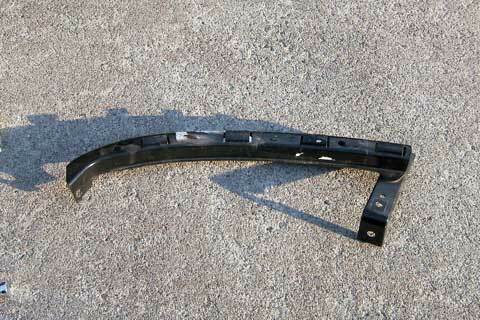 You’ll want to place the back part of the assembly aside somewhere safe and relatively dust/dirt free. 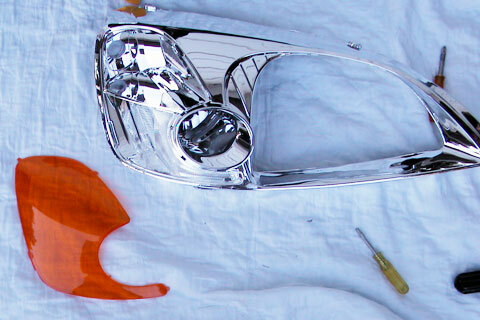 Remove these two Phillips screws keeping the chrome insert attached to the clear portion of the light assembly. 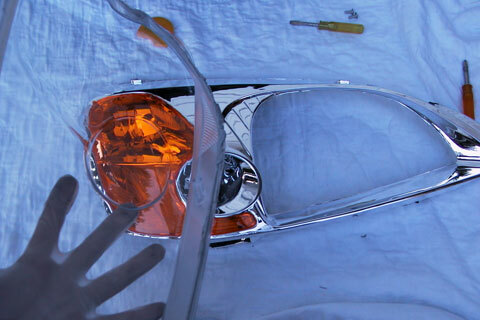 Now carefully remove the chrome insert. The gloves help in minimizing finger prints. Now if you flip over the insert you can just pop out the amber piece from the back. 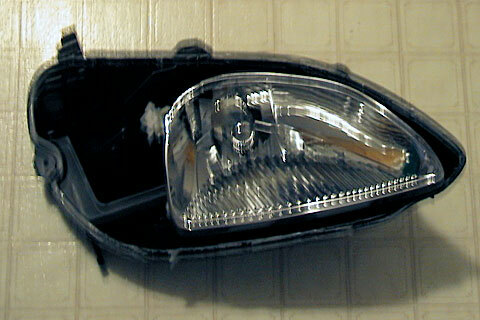 Reverse the process to put the light back together or check out the Painted Headlights DIY. 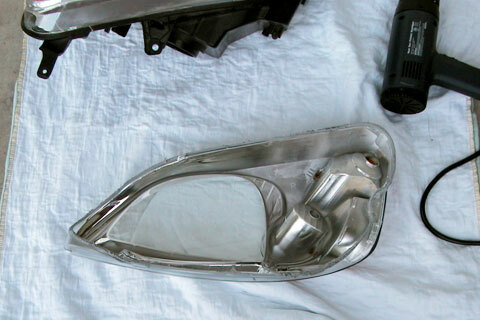 You’re currently reading “Clear Your Headlights,” an entry on Ghosty’s 2K1 Honda Civic Coupe.